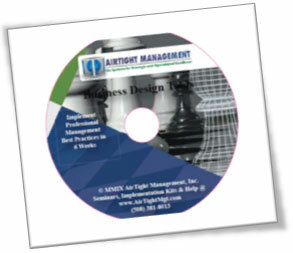 AirTight Management has a vast amount of intellectual property (IP) that it has developed since 2002 which is protected by copyright and patent laws and licensed to our clients and customers under license agreements. It is constantly improved and updated, though so much is timeless and stable that only occasional updates are needed. This page describes the ways that we license that Intellectual Property (IP). At AirTight Management we have constantly received inquiries since its introduction from people wishing to license our intellectual property in various ways. 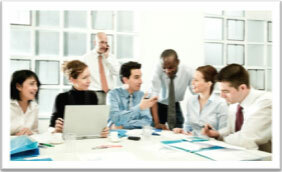 It is our intention to build a network of highly qualified coaches and consultants. If you are interested in being a member of the AirTight Management network while running your own show so that you can leverage our assets and provide higher value to your clients please review the qualifications below and contact us. Our clients receive a license to use our IP for any System which we are engaged to install at no extra cost. If updates are desired when an engagement is over then alicense renew fee may apply depending on the situation after that initial license period. Subscriptions to the Video Training Library (VLT) will be offered based on seats and usage. Use of our Video Training Library(VTL) is included with any contract for training, coaching or consulting for some fixed period of time, usually three to six months per System, or a full year when all Six Systems are being implemented. After that initial period there is a quarterly subscription fee to access the VLT to train new employees and upgrade their skills. There is a small fee for professional certifications (Purple or Black Belts) but no fee for basic users (Green and Orange Belts) which is automated and used in all implementations (or engagements to install one or more Systems). These higher certifications are for professional consultants and coaches mainly. 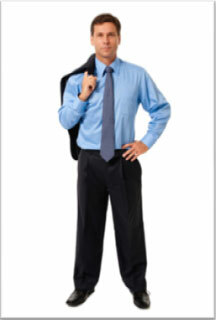 Companies may wish to have a lead senior person become a Black Belt if they expect to grow rapidly. Professionals can be certified to use and resell our intellectual property (IP) in any one, all,or any combination of our Six Systems. There are four certification levels for each of theSix Systems for a total of 24 certifications possible. Professional consultants with Black Belt Certifications can lead engagements to train and install AirTight Systems. Professional with Purple Belt certifications can participate in these engagements but not lead them. After certification of at least a Purple Belt they can use our IP and video library (VLT) for a license fee and become an authorized reseller. We believe that information alone is dangerous and experience and wisdom are necessary to make our customers successful.As such we do not currently allow reselling of the IP and VLT without some certification to guide and support clients and customers. This is a serious career commitment to create a six figure income by either running your own business, or work for AirTight. These professional Certifications are available only to exceptional people with serious, practical management experience. Use our brand name and other IP in your sales and marketing. Resell, oversee and administer the AirTightTM Training Library (VLT) for their clients and customers, with full access to set up accounts for companies and individuals at client companies. There is a revenue share agreement for all sales. Ability to provide AirTight Management certifications to client company employees using our platform. Receive lead referrals of potential clients to develop. Participate in engagements and implementation contracts that AirTight Management closes to provide local support for training, coaching, consulting or other implementation needs and share in that contract revenue. Note that certification can be in any or all of the Six Systems, and to be a consultant you need both a Black Belt level certification and hands on management and/or consulting experience. There are no entry level jobs. Contact us for full details on our full development program for consultants and coaches. The AirTight Management Video Training Library provides tremendous time leverage, credibility, consistency of training and technology infrastructure to drive up the productivity, results and hourly rate consultants can make. This technology assist creates time leverage to put our consultants among the top earners in the field of Management Consulting while delivering high value added services. The VLT is continually upgraded with new capabilities to maintain our competitive advantage for our clients and network of licensees. It would cost individual consultants hundreds of thousands of dollars annually to create and maintain this vast amount of IP and video with this scalable delivery infrastructure. We sell both productsand online video training subscriptions to train employees, managers and senior executives.These include hundreds of “Leadership and Management Best Practices” structured within the AirTight Six Systems. 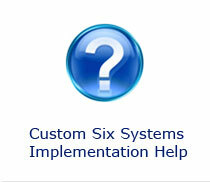 “Kits” include licenses to use the IP of each System with forms, data files and other tools. For Example the Strategic Planning Kit includes over a dozen tools to take a management team through the Strategic Planning Process with over 100 related files in that toolbox. Call for more details. Products are a flat fee, one-time charge and purchasers of our “Kits” get a license to use that IP internally in one company based on the number of employees they have for a given period of time.See our Products page for details. Subscriptions to our proprietary Video Training Library (VLT) are purchased based on seats, hours and other factors and the full VLT with all four levels of certification is available only directly from AirTight Management and its authorized Licensees. For details click here. “Clients” is a legal term which means we have a fiduciary responsibility to do what is in your best interests within the terms of our contract. A “customer” who purchases a product has no such relationship, as what they buy is what they get. When we engage with a “Client” our goal is to generate results, a high ROI on their investment with us and happy Clients that will work with us for many years. We hope that they will refer other businesses to us because of their success. We will do everything in our power to guide clients to success and hold both them and us accountable for specific goals set for every engagement. All our work with Clients and information is kept confidential by default and we are happy to sign standard Non-Disclosure Agreements (NDAs). Because of the nature of our business we do not agree to any restrictions on working with others in an industry, though we will be sure to have a “Chinese Wall” and not have the same people work for competitive companies within reasonable time limits. We offer products in several media formats including audio CD, video DVD and on-demand video subscriptions for training. Since vast experience is needed to integrate our Six Systems into any organization we cannot guarantee results when this “information alone” approach is selected by a customer. We see this as a learning experience to discover what is needed and move on to more complete solutions that include on-site or remote coaching and consulting. We believe information alone can help a customer understand the problem, but also that vast experience and skills are needed to diagnose, design a solution and implement that solution in a given environment. As such we always recommend at least some remote consulting or coaching to help customers achieve true success. Training and products alone should be seen as a first step, not a complete solution as people and cultures rarely change without proper leadership, guidance and expertise. Each product comes with a specific license to use all IP in that system under certain conditions. Obviously copying or duplicating of materials and the number of users allowed to use it is limited by each license. A Fortune 500 company cannot purchase all our IP once and use it with 100,000 employees. Each product is limited to a certain maximum company size, generally fifty employees, and a license fee per employee is required after that is exceeded. Generally any company under 50 employees and over that there is a license fee based on the company size. Although we mostly help small to medium size businesses (5 to 999 employees) all of the AirTight Management Systems are fully applicable to larger companies, their divisions and departments and we have pricing and programs for large companies as well. Contact us directly for more information.